10 Seconds To A BIGGER Chest! Over Training is when the volume and intensity of a workout routine exceeds the individual’s recovery capacity. But unfortunately there is no universal guideline for “Over Training” because we all have different fitness levels, work capacities, and other factors that can affect your recovery. Blood Flow Restriction (also known as occlusion) involves wrapping a strap, band, or wrap around the top portion of a limb (i.e. your arms or legs) to restrict blood flow from leaving the working muscles. The result is that you’ll get a “super pump” by forcing more blood volume into the muscle cells. To stimulate muscle growth you need to push your limits and train hard in the gym with progressive overload. But does that mean you have to push it to failure on every single exercise that you do? Find out when it’s ok to train to failure and when you should back off. 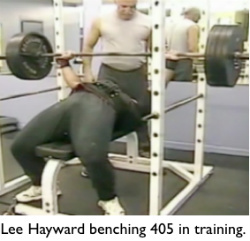 How Old School Bodybuilders Got Big & Strong! The Old-School Bodybuilder’s from the 1960’s and 1970’s had some of the most impressive muscular physiques the world has ever seen. The classic physiques from the Pumping Iron days were a completely different breed compared to the monstrous behemoths which take to Mr Olympia stage today. Salt is not the bad guy that the media makes it out to be. In this blog you’ll learn how proper salt intake can help maximize your strength, energy, and muscle gains in the gym. 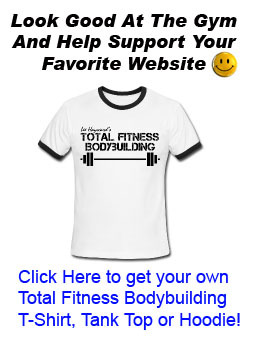 I’m Working Out Consistently, But Not Gaining Any Muscle… What’s Wrong? Help, I’ve been lifting weights for 5 years but don’t have much to show for it. Simply lifting heavy and eating more doesn’t work for me… What am I doing wrong? When it comes to building muscle there are 3 key components that need to be addressed – 1) Weight Training – 2) Nutrition – and the biggest one… 3) Genetics! to a certain degree all strength training exercises that you do can be beneficial. But there is a specific way to rank exercises from those that provide the lowest level of muscle stimulation, to the those that provide the highest level of muscle stimulation. High Reps VS Low Reps. Some people say “high reps for cutting” and “low reps for bulking”. But is this really the best approach? 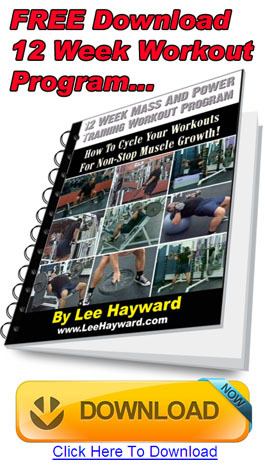 Click the link below to find out the truth about how many reps you should do to build muscle. But the question is which rep range is the best one and which one should you use in your workouts? Of all the bodybuilding and nutritional supplements on the market, one of the most talked about products is Creatine. And there is a good reason for that because creatine is one of the few supplements on the market that can produce a noticeable enhancement in strength and lean muscle gains in a relatively short period of time. 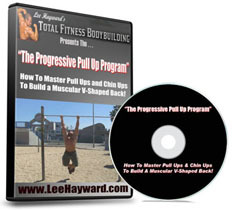 In this blog post you are going to get a complete deadlift workout program that will help increase your deadlift poundages, allowing you increase your overall strength, and pack on slabs of thick dense muscle mass to your frame. How To Use Lifting Straps To Re-Enforce Your Grip. Straps or No Straps. A question that I’m often asked by my followers is about lifting straps to re-enforce your grip when lifting weights. How do you use them? When should you use them? etc. 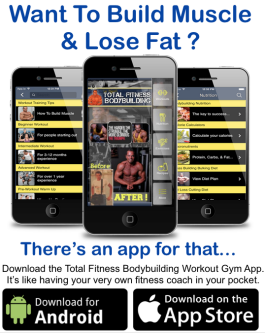 How Fast Can You Lose Bodyfat?